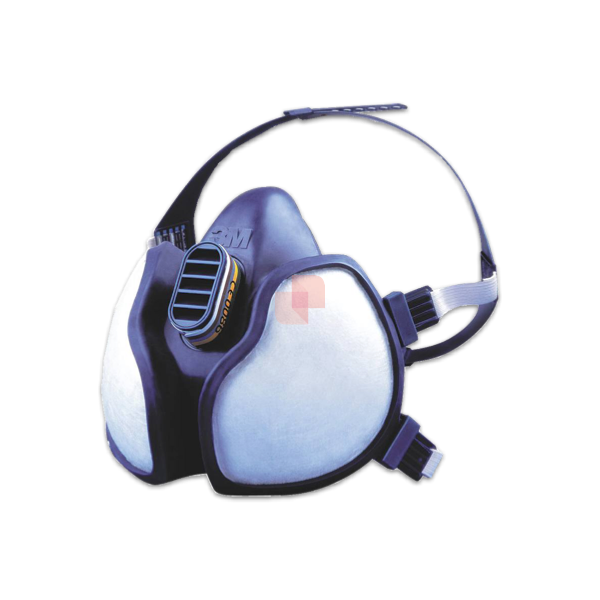 3M 4251 Respirator Face Mask is a Protective mask suitable for worker protection against many gases, organic vapors and dangerous combinations of fine dust; no need for maintenance. The 3M™ Maintenance Free Half Mask Respirator 4251 is a ready-to-use, maintenance-free half mask respirator designed for effective and comfortable protection against many gases, organic vapors (with a boiling point above 65 °C), dangerous combinations of fine dust (up to 10 x WEL) and particulate hazards found throughout industry, from spray painting to solvents and resins operations, plating baths and batteries maintenance. Protective Masks and Respirators can be used until damaged, particulate filters clog, gas filters become saturated or after one month.